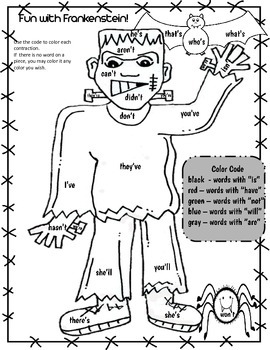 This little freebie is a sample from my Halloween Color by Code and Solve Riddles packet. Included are 2 fun printable activities. The first is a Frankenstein Color the Contractions using the color code, and the second is solving a riddle (Halloween Joke) by writing the number that is one more or one less using 3-digit numbers. 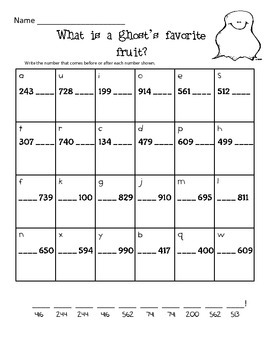 In the full packet you will find rounding numbers, counting by twos, counting syllables, plurals and more. All in a fun printable format that kids will enjoy!